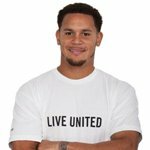 Place of Birth Daytona Beach, Florida, U.S.
Cortland Finnegan is an American football cornerback for the St. Louis Rams of the National Football League (NFL). 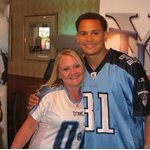 He was drafted by the Tennessee Titans in the seventh round of the 2006 NFL Draft. He played college football for Samford University. 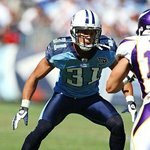 Playing at FCS school Samford, Finnegan was unnoticed and overlooked in the 2006 NFL Draft. He displayed good speed at Samford's Pro Day, but lacked ideal height and was deemed a shaky tackler. 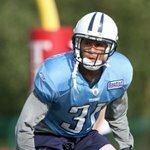 Sports Illustrated projected him to go undrafted, but Finnegan was selected by the Tennessee Titans with the seventh pick of the seventh round (215th overall). He was the first Samford player drafted since Gary Fleming went 163rd overall to the Baltimore Colts in the 1969 NFL Draft. He played in all 16 games with two starts (one October 15 at Washington as nickel back and again on November 19 at Philadelphia as left cornerback). 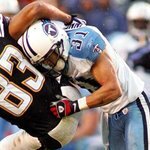 Finnegan had 57 tackles, two sacks, three quarterback pressures, one tackle for a loss, seven passes defensed, one forced fumble, and he returned a fumble from David Garrard for a ninety-two-yard touchdown during the December 17 game against Jacksonville. He also tied for fourth on the team with 15 special teams tackles with one fumble recovery. In September 2010, Finnegan was fined $5,000 for throwing New York Giants wide receiver Steve Smith to the ground by his helmet. In October 2010, Finnegan was fined $10,000 for unnecessary roughness after hitting Denver Broncos guard Chris Kuper after Kuper's helmet was off. 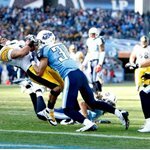 After this incident, the NFL warned Finnegan that similar violations in the future could lead to him being revoked from the NFL. 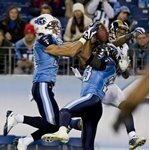 On November 28, 2010, Finnegan was involved in a fist fight with Houston Texans wide receiver Andre Johnson. In Week 1, his first game with the St. Louis Rams, against the Detroit Lions, Cortland intercepted a Matthew Stafford pass and returned it for a touchdown. In Week 2 against the Washington Redskins, Finnegan was able to draw a penalty against Washington Redskins WR Josh Morgan in the closing seconds. The 15-yard penalty turned what would've been a game tying 47-yard field goal attempt into a 62 yarder. The attempt was no good and St. Louis recorded its first victory of the year.